This article is part of a series hosted by The Strategy Bridge and CIMSEC, entitled #Shakespeare and Strategy. 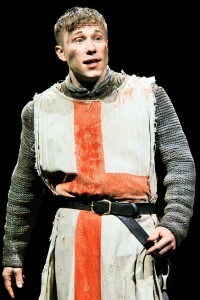 See all of the entries at the Asides blog of the Shakespeare Theatre Company. Thanks to the Young Professionals Consortium for setting up the series. 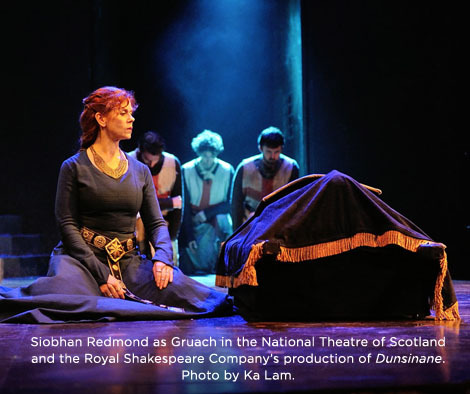 When curtains close on Shakespeare’s 1606 The Tragedy of Macbeth, audiences are left to ponder the fate of Scotland. Contemporaries of the playwright were well aware of the Union of the Crowns a mere three years prior in 1603, uniting the rule of England and Ireland under James the VI, King of the Scots. But few could claim to know the events that followed Macbeth’s toppling by the hands of an English army half a millennium earlier. Part of the problem is that as with many popular pieces on Scottish history, such as Braveheart, a factual recounting – if one could be determined in the first place – is sacrificed to good story-telling. Dunsinane, written by David Greig and playing in an excellent National Theatre of Scotland production at the Shakespeare Theatre Company’s Sidney Harmon Hall in Washington, DC, through February 21st, brings a few elements of the story closer to what is known: Macbeth ruled for over 15 years and wasn’t widely considered a tyrant. 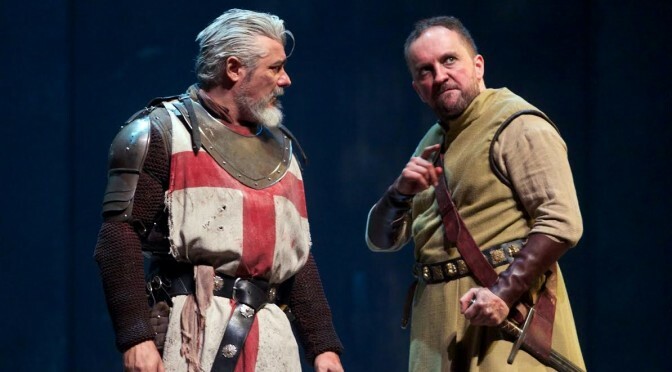 The narrative largely picks up where Macbeth left off, chronicling England’s attempt to establish a friendly regime across its northern border and the subsequent insurgency and counter-insurgency campaigns. Greig uses this context to explore military, political, and moral themes (more on those later) quite familiar to those who’ve lived through or in the shadows of the wars in Iraq and Afghanistan. “We boarded our ships at the Thames mouth. For us to slaughter on the way. What lay ahead of us. Scotland. Where we would install a king. And there we camped in woods near the abbey of Inchocolm. To prepare us to fight. Clearly sealift and local sea control can smooth the path for an initial military assault. The sea journey described above is just shy of 400 nm, and would have taken far less time than a northward march, thereby increasing the chance the expedition maintains some element of surprise. Whether the landing force is completely unexpected or merely arrives sooner after word reaches Macbeth and his advisors at Dunsinane, seat of his power, the force would have faced less entrenched and ready resistance. Additionally, had Macbeth received early warning, the mobility afforded by the sea would still have allowed the expedition some latitude in choosing where to disembark – a perennial complication for military planners facing an amphibious landing, from the American revolutionaries accounting for the movements of the British to Nazi Germany awaiting the Americans. Invasion by sea would also have impacted the campaigns’ logistics. The initial requirements for foodstuffs and military supplies would have been greater than on a march, which could have offered a mix of supplies provided by other vassals when available and foraging in their absence. But the fact that the force set off from Essex indicates many of the forces were raised by southern nobles, easing the burden on the expedition’s northern commander, Siward, Earl of Northumbria. A march through his lands, bordering Scotland, would also have risked engendering a hostile populace enroute that might have joined Macbeth’s cause. As in a later invasion of Scotland during the (2nd) English Civil War, the sealift could have been retained for resupply over open sea lines of communication (SLOCs) to limit the need of the expedition to disperse and forage after landing. 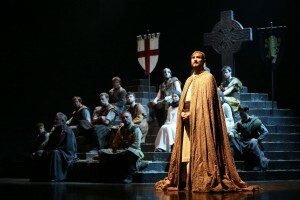 It is unclear in Dunsinane whether the ships were kept at hand. But indications are that the English did not anticipate a long phase of contested nation-building to defend their installed king’s regime, and likely expected to rely on Siward’s neighboring realms as the situation changed. 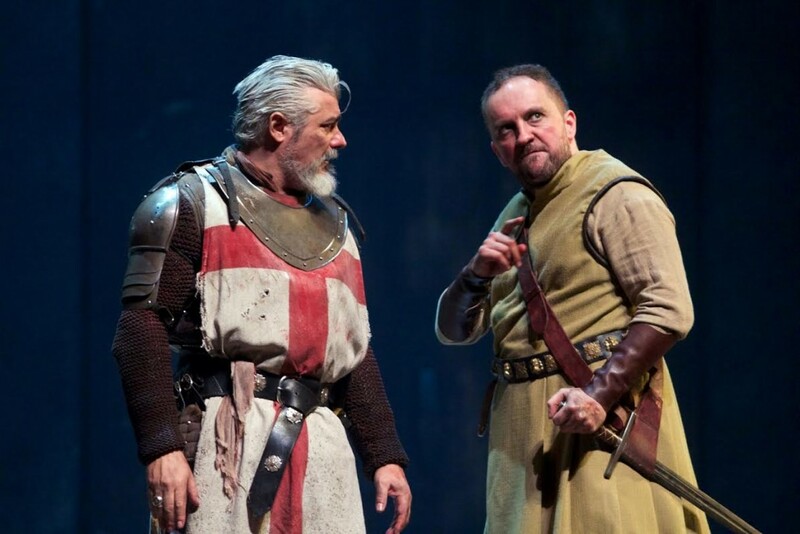 They may also have believed local sea control and predictable SLOCs would be challenged by other powers such Norway, which commanded more allegiance from some Scottish chiefs than the king at Dunsinane. This allegiance in turn was easier to command when, due to Scotland’s extensive coastlines, sea control could be no more than a localized or transitory thing, meaning other foreign powers could provide even overt support to prop up local proxies with little risk of interception. Whether fleeting or near-absolute, a mastery of the waves confers both advantages and dangers. When it comes unchallenged at the start of a campaign it can breed an overconfidence that the rest of the endeavor will be as easy. Additionally, while command of the seas can be a great enabler in projecting power against an enemy state, it is of more limited use if a war transitions to a counter-insurgency phase where the nexus of success resides with the support of the people. This is not to say it’s of no use – the success of the U.S. counter-insurgency campaigns in the Philippine-American War were possible only through extensive naval activities – but unhindered SLOCs could only set the stage in cases such as Vietnam and Iraq, where what happened ashore was in many ways divorced from what happened at sea. It’s a lesson those eying an enemy (or wayward province) across the waters would do well to remember. In Dunsinane, sea power is a minor character, and the end of major combat operations it supported does not mark the beginning of peace. That comes with acceptance of defeat by the enemy, which as Clausewitz notes cannot always be imposed through the mere “total occupation of his territory.” And, as the German states learned in the Franco-Prussian War, the destruction of a regime’s forces can create a power vacuum filled by those even more loathe to throw in the towel. In the face of a recalcitrant foe, an occupier that increases its stay tempts provoking the people and swelling the ranks of the enemy. They’re not fighting us because of their Queen. They’re fighting us because we’re here. The Scots will fight anyone who’s standing in front of them. They like fighting. In fact – they’re fighting us partly because we’re stopping them from fighting each other. Successful insurgencies and counter-insurgencies make this fighting personal. The former try to provoke an emotional (over-) response from the latter, while the later try to win the hearts and minds (or at least acquiescence) of the people through a return to a semblance of normalcy. In the forthcoming novel Ghost Fleet, by Peter Singer and August Cole, which also draws inspiration from the recent decades of counter-insurgency, a colonel chides another commander for “taking the losses from the insurgency personally…missing [the] greater responsibilities.” The death of Siward’s son at the beginning of the play makes the campaign immediately personal for him. While he and Egham both try to protect their men from harm by seeking accommodation with their former enemy, once the blood of their comrades is spilled in the insurgency phase Siward quickly goes through the seven stages of grief to punitive violence. I don’t have as much experience with counter-insurgency as others writing in this series do, so I can’t say with certainty how I would handle the personal nature of it. Twice – in 2009 and in 2015 – I was ordered to spend a year with the war in Afghanistan, but twice those orders were cancelled – after 1 week and 4 hours respectively (I learned after the first time to wait awhile before telling my wife, just to be sure). But I’ve been lucky. Sailors by the thousands have been called from Active Duty assignments and the Reserve to serve in the counter-insurgency campaigns in Iraq and Afghanistan, and some are still being sent to the latter to this day. This is to say nothing of the contributions of the U.S. Marine Corps. Sea control may not make much difference in the counter-insurgency campaigns of Dunsinane or Afghanistan, but at the individual level the line between sea power and land power, between sailor and soldier, has blurred.